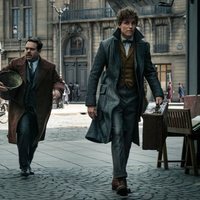 The sequel of 'Fantastic Animals and Where to Find Them', 'Fantastic Animals: The Crimes of Grindelwald', takes place months after the end of the first film. 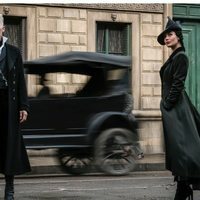 The first film ended with Grindelwald being captured by the Magical Congress of the United States of America with the help of Newt Scammander, now Grindelwald fulfills his promise to escape and begins to recruit a series of magicians. 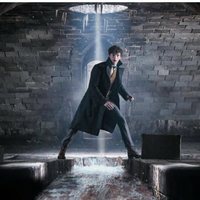 With the aim of defeating him, they introduced us to the figure of the young Dumbledore (played by Jude Law), who will join Newt so that the evil magician stops being a threat. The film is directed by David Yates and J. K. Rowling comes back as the writer of this sequel. 'Fantastic Animals: The Crimes of Grindelwald' is scheduled to premiere internationally on November 16th, 2018. 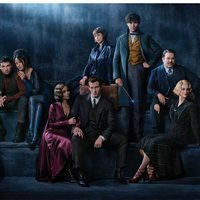 Write your own 'Fantastic Beasts: The Crimes of Grindelwald' review. This movie features the first time in 'Beasts' franchise that actors from the 'Harry Potter' movies have reprised their roles: Jamie Campbell Bower as Young Grindelwald and Toby Regbo as Young Dumbledore; both briefly appeared in 'Harry Potter and the Deathly Hallows - Part 1' Filmed almost entirely at Leavesden's Warner Studios (located in western Hertfordshire County, about 30 kilometers from London), which has been home to the wizarding world for almost twenty years. The role of Nagini was previously offered to Indonesian actress, Acha Septriasa as J.K. Rowling stated that the character was inspired by folklore from Indonesia. She turned down the offer because of pregnancy.